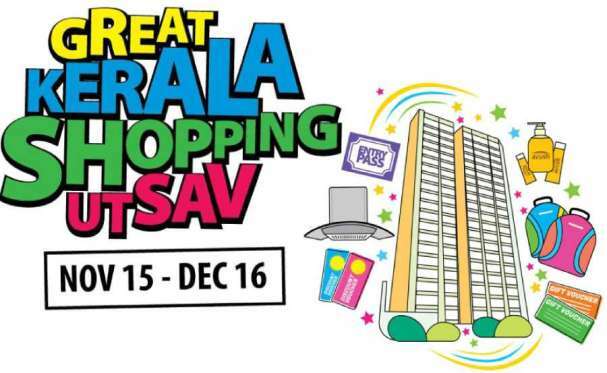 Trivandrum, 29 November 2018: The first edition of the Great Kerala Shopping Utsav 2018, organised by television, print, radio and digital media group of Kerala in connection with the trading community is being held from November 15 to December 16, 2018. Unlike the Government sponsored Grand Kerala Shopping festival, the GKSU registration is not mandatory. GKSU partners include Kalyan Developers, Saras, ESAF, KAFF, Wonderla, Ayush, Bismi, Pittappalil, Jos Alukkas, QRS, Mobile King etc. On clicking the link, an online form will appear, where you need to enter the requested details & hit the submit button. On completion, you will get an onscreen message confirming your registration for lucky draw. Winner will be informed via SMS to the mobile number provided in the registration form.